Cheers to this new app for LA drinkers! You’re out and about in LA and in need of the nearest watering hole. But being a connoisseur of fine cocktails and/or craft beers, you only want to find the very best places in your immediate area. Searching for bars via Yelp will pull up too many options. And then there’s that matter of having to comb through each review wondering if you can even trust what any of these Yelpers are saying. But what if there was an app that allowed a source that you loved and trusted, ahem, to handpick the best bars for you? Lucky for you there IS such an app, created by Escape Apps LLC, called Know What app! This brand-new iPhone/iPad/Touch app, which just launched, offers a variety of guides created by tastemakers for both Los Angeles and San Francisco. Each contributor has created a specific guide covering different aspects of the city, be it the best hiking trails, the best pork dishes or the top architectural icons. It’s a quick and easy way to get your city’s experts in your back pocket! Even I have a guide. It’s called Drink Here: LA’s Best Craft Beer and Cocktail Bars and covers my favorite bars, drink spots which incidentally are the best in LA and that I’ve heavily “researched.” Heh. For your convenience, most listings include links to the bar’s up-to-date drink list! So you can see if anything strikes your fancy or check what’s on tap before you go. Currently I have over 50 picks but will constantly add to it as well as provide mini guides (like where to find the best current seasonal cocktail in town) that will update for free. The basic app, Know What Essentials, is $2.99 and gets you 400 places out of the thousands available. So that’s 200 spots in L.A. and 200 in the Bay Area (amounts to about a penny a place) and you get a taste of each of the guides. Now if you want a particular contributor’s complete guide it costs an additional amount, about 99 cents to $3.99. Mine costs $1.99! Hit the jump to see a complete list of guides. Feel free to purchase the app here. Happy drinking! PS: If you like the app, please review it in the iTunes store. But if you don’t, feel free to email me using the contact tab at the top of the page. Hee. 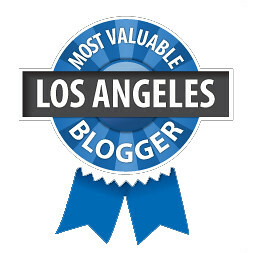 Gustavo Arellano, columnist, editor, OC Weekly: The Best OC Restaurants! Thinkwalks, ThinkWalks.org: Everything Explained and Local Nerd!